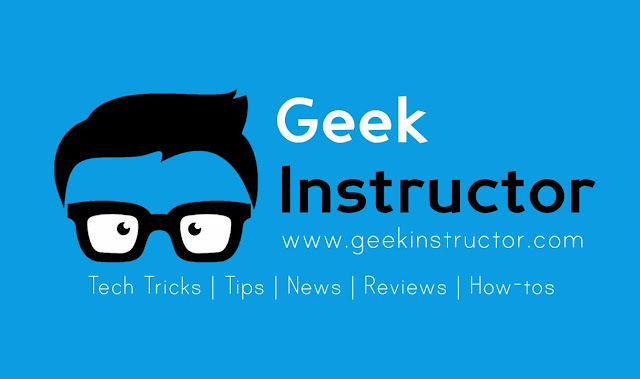 We are excited to announce the launch of our new blog Geek Instructor. This blog will feature tech guides including tricks, tips, news, reviews, how-to tutorials and much more. Geek Instructor is made for all geeks and newbies who want to explore this tech world more deeply. Amongst the new features, this blog content isn't limited to Android, Social Media and Internet tutorial only. We have added some more topics in our list like Blogging, Web Development, AdSense, Analytics, SEO, and more. The new website is power-packed with so many features. It has clean and responsive design across all browsers and devices. We have also improved our site performance and user experience. You can easily navigate to any webpage at a very high speed. Every post published on Geek Instructor is reviewed multiple times and it's well optimized for both search engines and readers. We promise to constantly update our blog with the latest content and helpful information. We hope you will find the new website with a fresh content and easy to access information. We also wish to establish this portal as a leading source of technology guides. For any questions, suggestions, feedback or comments, you can drop your mail at contact@geekinstructor.com or contact us via form. We will get back to your shortly. You can also subscribe to our email newsletter to receive all new updates right in your inbox. We are also active on all major social sites. Subscribe now!